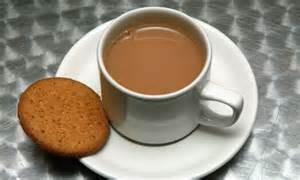 I must admit to being a big tea drinker - morning, noon and night, I'll brew a nice cup of tea with milk and two sugars and maybe a digestive biscuit. However, I read that if you take your morning cup of tea with two sugars or more, you are more likely to be on a lower wage than those who do not, - that's according to a new report. The Grocer magazine compared the tea drinking habits of different socio-economic groups and found 36 per cent of people in the 'DE' social bracket (semi-skilled and unskilled manual occupations and the unemployed) take sugar in their tea, compared to just 26 per cent in the 'AB' social bracket (higher and intermediate managerial and those in professional occupations). 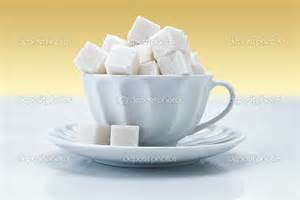 Of the 26 per cent in the 'AB' bracket who said they had sugar in their tea, only nine per cent said they had two or more sugars, compared to 19 per cent of those in the 'DE' bracket. The study also compared tea-drinking habits around the country and found that those in Yorkshire are more likely to go without sugar in their tea, with 42 per cent saying they prefer their tea without any extra additions. Twenty-eight per cent of Londoners prefer their tea without sugar, along with 26 per cent of tea-drinkers in Wales, and 22 per cent of Scots. 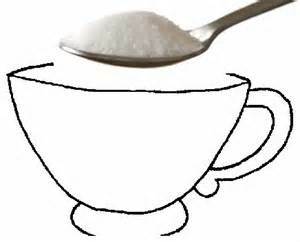 Women are also more likely to go without sugar compared to men according to the study. Reporting their findings, The Grocer said: "It turns out teas is the bellwether for Brits. As The Grocer's research found out, how you take your tea says a lot about you."